The Heritage Inn is a three star hotel built completely of rocks and bricks. 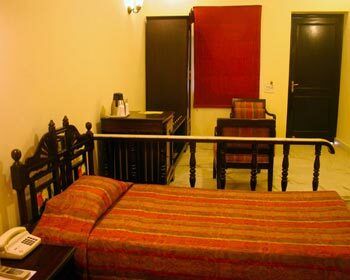 The hotel has a very traditional outlook and is famous for its contemporary hospitality and ambience. 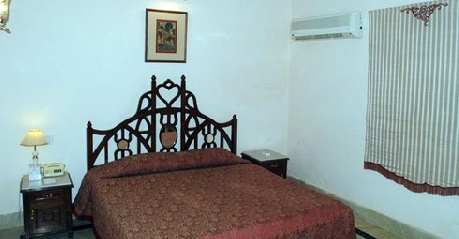 The hotel is located along the Sam Road, just 2 km from the Jaisalmer Bus Stand and 3.5 kms from the Railway Station. The hotel offers excellent conferencing and banqueting facilities for its guests. The conference room can accommodate 150 guests and can be utilized for corporate as well as private parties. 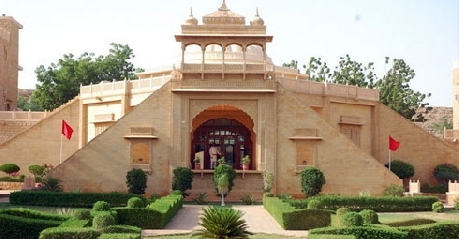 The hotel is in close proximity to the Jaisalmer fort, Patwon Ki Havelli, Desert Cultural center and Sam Sand Dunes. 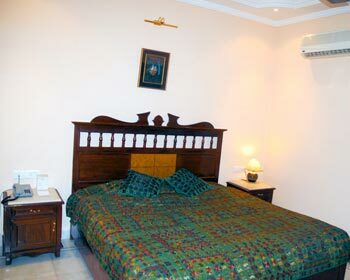 Other facilities of this hotel are currency exchange, travel desk, doctor on call, parking facility and an internet café. The Tower room comes with a beautifully crafted wooden bed which is decorated with colorful linens and comfortable cushions. Overlooking the city, the room offers a color television with all premium channels for entertainment. The mini bar and tea/coffee maker make sure the guests always get their beverages when they want. The bathroom is well maintained and comes with shower cubical. Other amenities of this room include a hair dryer, ceiling fan, air conditioning, and hot/cold running water. The Cottage rooms are perfectly designed for a couple with its large bay windows overlooking the beautifully landscaped gardens of the hotel. One can enjoy a morning cup of tea soaking in the bright sunlight. 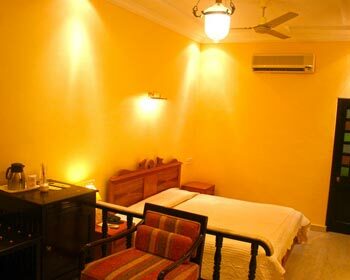 The contemporary design of the room is in a perfect contrast with its modern amenities. The bathroom comes equipped with a shower cubical and a geyser to supply you with hot water round the clock. 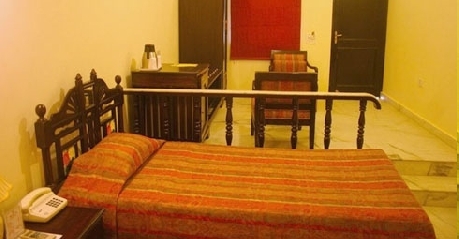 The added amenities include ironing Board, private bathroom, Mineral Water, Daily Newspaper and Room Service. 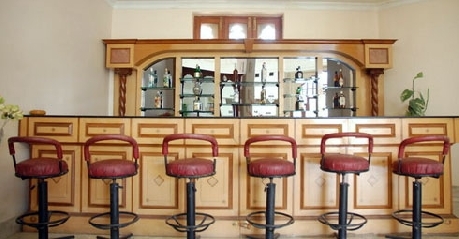 A Mini bar, Satellite television, Safety Deposit Box and Cable TV are all part of the room. The deluxe suites are a family suite meant for a long stay of royalty and class. The suite comes with a separate living room and a master bedroom. 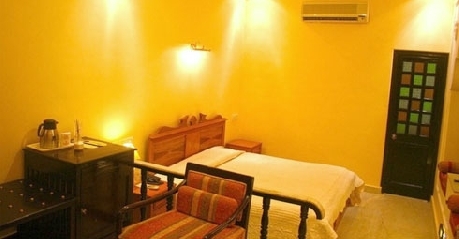 The suite is provided with a mini bar and tea/coffee maker for the guests to enjoy over. The Large Screen television makes sure the guests are always entertained. The work desk is very well organized with the required stationary. The suite also has a work desk, sofa set and a direct dialing telephone. The sofa set arranged with a center table is ideal to sit and relax with friends and loved ones. The room comes with all the features of the Superior room and much more like an electronic safe, hair dryer and a 24 hour room service. 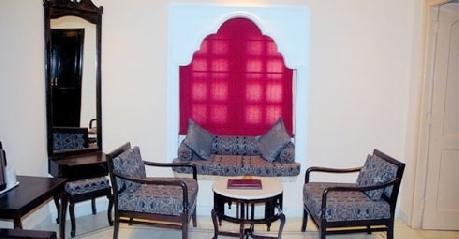 The Maharaja suite is the best suite of The Heritage Inn Jaisalmer. The gigantic suite occupies a bathroom which has a deep soaking bath tub and a shower cubical. The suite comes with a separate dining areawhich can easily seat four people for a cozy and private meal. The bedroom also gives the guests a view of the landscaped gardens of the hotel. The cushioned sofa set comes with a center table ideal for a group of people to enjoy some drinks from the private mini bar. Other amenities of the room include 24-hour room service, daily newspaper, Cable TV, packaged drinking water, Coffee and tea maker, Electronic safe, Glass-top table, Footstool, Hair dryer, Mini bar and a direct dialing telephone. 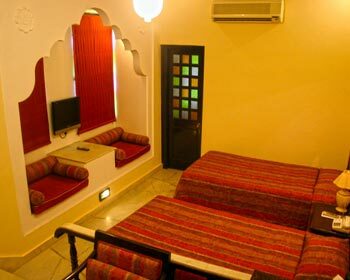 Heritage Inn Jaisalmer offers 51 luxurious rooms which have a traditional decor and are equipped with the best of contemporary facilities. 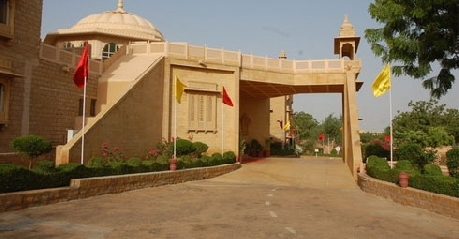 The warm decor and excellent facilities makes it one of the much preferred destinations in Jaisalmer. The Bageecha is located at the epicenter of the property and offers its guests a spectacular view of the landscaped gardens of the hotel. The place offers an array of dishes from the Indian, Continental and Chinese menu. 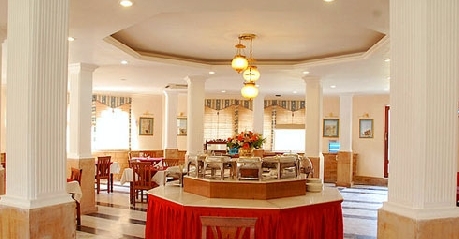 The restaurant has a buffet as well as a la carte menu option. The Mirage is the private bar of the hotel and offers the indulgers a wide range of spirits and wines to choose from. The bartenders here prepare the best cocktails and mocktails to suit your taste.